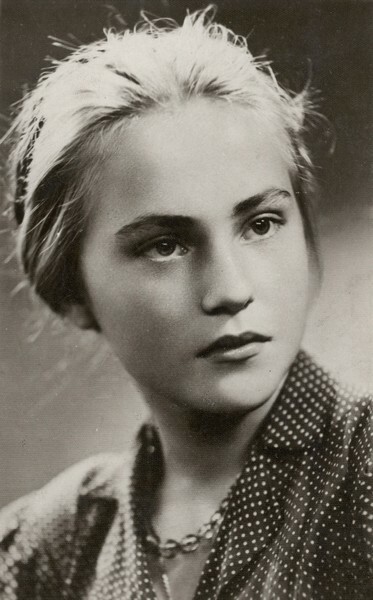 Teresa Siedlar-Kołyszko, family name Macak (born 5 May 1929 in Kraków), daughter of Anna (family name Palczewska) and Władysław. Scout in Zawisza, the youngest section of Szare Szeregi. Pseudonyms: Skierka and Bystra. After WWII a radio journalist. Teresa Macak started her education in Warsaw. She attended primary school on 98 Szucha Avenue. After moving to Kraków she continued her education at Adam Mickiewicz primary school (no 13). She attended legal courses run by Ursulines nuns and secret underground courses at Rodakowski’s flat on Piłsudski Street. 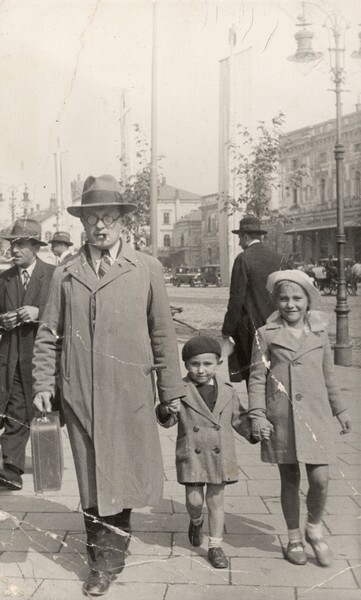 In September 1943 she joined Szare Szeregi and was given the pseudonyms Skierka and Bystra. Her group was called Leśne Duchy (forest ghosts), their leader was Aniela Kinowska, pseudonym Nel. Teresa Macak was trained in nursing, communication, intelligence and weapons. She was a liaison and guide for two partisans, Miś and Łobodziński, during their trip from Kraków to a contact point in Siepraw. Her tasks included decorating the Unknown Soldier and January insurgents monuments with wreaths made up of red and white ribbons. In 1952 she graduated from the Jagiellonian University with MA degree in Polish. She worked at the Youth Cultural Center on Krowoderska Street in Kraków, where she started a tourism section. In 1956 she began her career as a journalist at Polish Radio in Kraków, where she worked for 39 years. 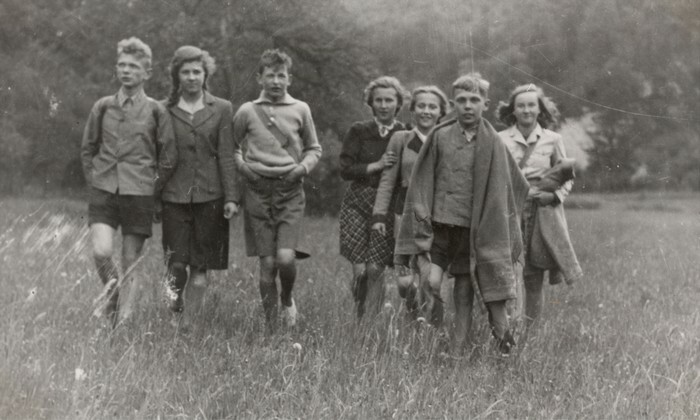 In the 1980s she visited former parts of Poland in the east to interview Poles who had stayed there after borders were moved at the end of the war. Teresa Siedlar-Kołyszko is an author of many books and reports about Poland’s former territories (Od Kircholmu po Jałtę, Byli, są czy będą, Przecież tu Polska kiedyś była). In 1975 she was awarded with a Golden Microphone, the highest radio award in Poland. She was married twice and has two sons and three grandchildren. 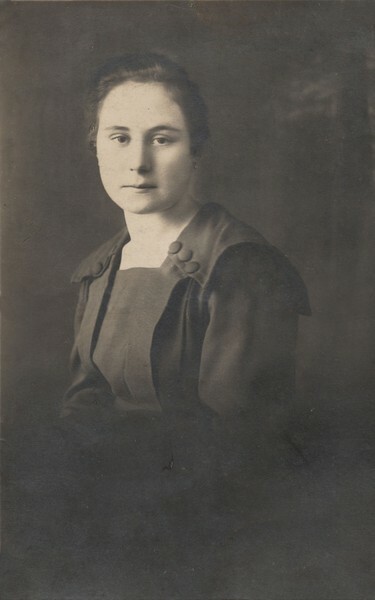 Terasa’s mother Anna Macak. Kraków 1923. 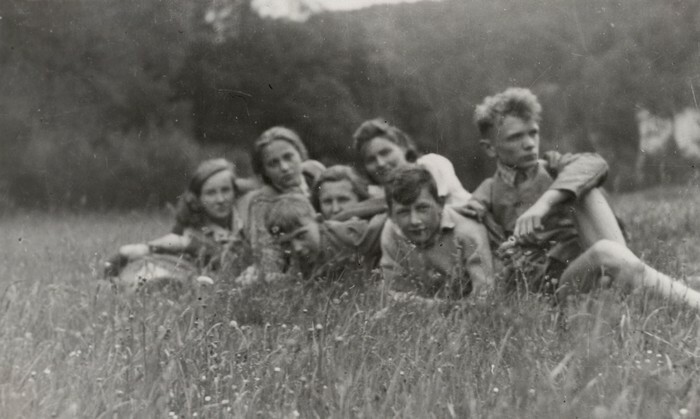 Teresa (third from the right) with scouts of Zawisza. Kraków 1943. Teresa (in the middle) at her home. 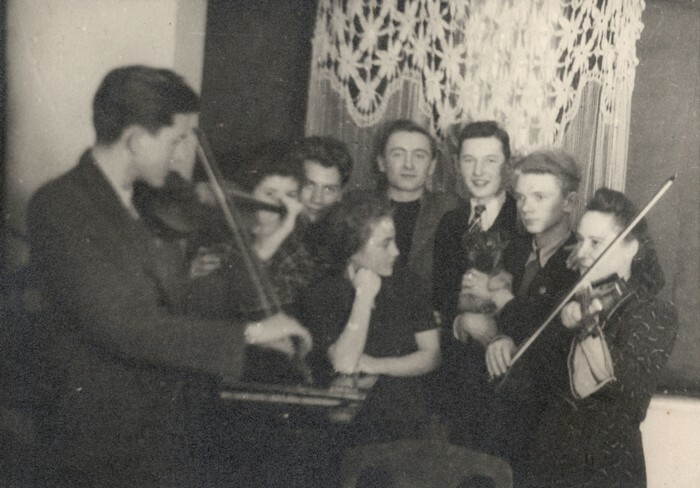 Her mother, Anna, and Lucjan Leśniak (pseudonym Zwinny) playing the violin. Kraków 1944. 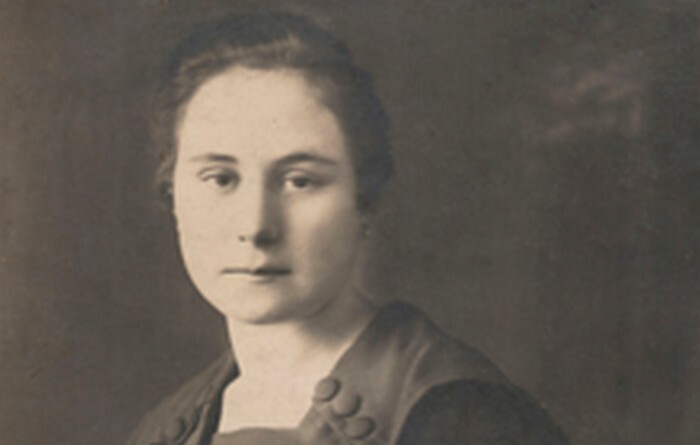 Teresa Macak (today Siedlar-Kołyszko). Kraków 1943.